﻿ FAQ :: URBAN PUF :: Pamper Ur Face. Pamper Ur Days! How do I apply minerals? What color or shade should I choose? My skin is dry. Should I use mineral makeup? Is mineral so inert that I can sleep in? Is mineral 100% safe to my skin? How much does mailing cost? Can I exchange or return my items? Ideal for sensitive skin - All cosmetics that we have carry avoid sensitizers like bismuth oxchloride, talc, dyes and mineral oil. Easy to apply - Only 4 steps to achieve Pamper Ur Face . Pamper Ur Days! 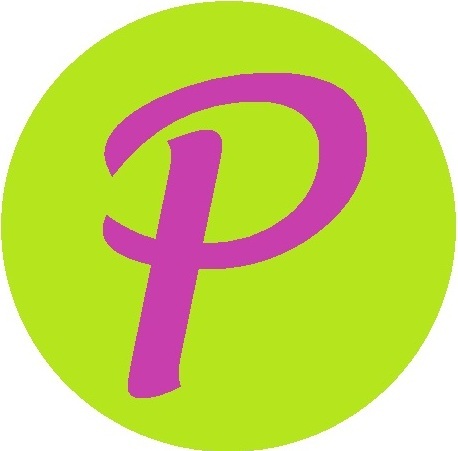 Quality - All the products at PUFCosmetics.com are guaranteed 100% authentic without exceptions. NO imitations or knock-offs sold here! Delivery time - You DO NOT have to wait....wait....and wait anymore to receive your item(s) because products are ready to mail in Hong Kong based as well as at a lower postage fee. Exclusive newsletter - Get the latest information on PUF product launches and exclusive newsletter subscriber promotions. Customer service team - We mail your order quickly and offer knowledgeable, friendly and prompt email customer service. Secure ordering - When you place an order online, your personal information and credit card information are encrypted using SSL (Secure Socket Layer) encryption technology. Privacy protection - Your privacy is very important to us. We will NEVER sell, rent or trade your personal information or email address. Mineral makeup application is the easiest thing ever! Once you've practiced, you'll find it's easy and fun, less messy than liquids or creams. 1. Choose the right application tool which we recommend using Kabuki Brush to achieve a natural finishing. 2. Lightly dip brush into foundation jar or pour a small amount of your mineral foundation into the lid. 3. Swirl brush into lid until minerals are well distributed into the brush hairs. 5. Apply either by sweeping or buffing in a circular motion, starting at the area that needs the most coverage. Keep buffing until desired coverage is achieved. Remember a little goes a long way! 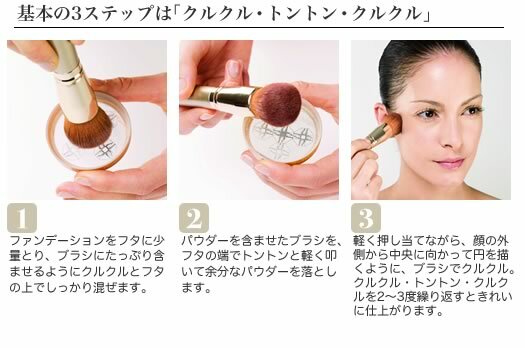 * If you skin is sensitive to the buffing, simply stroke/sweep the minerals onto your face in a downward motion. Please note that colors shown on this website are a representation of the product color and will not be exactly the same shade due to variations in screen settings etc. That is the reason we highly recommend our fans either trying samples or read the product description details. * Keep in mind that mineral foundation is very forgiving, and tends to "meld" with your skin tone. Absolutely! While mineral makeup does absorb excess oils & moisture, applying a lightweight, non-greasy moisturizer at least 30 minutes prior to mineral application will protect your skin's moisture barrier. While we would never suggest you sleep with ANY makeup on since this means you're not following a regular skin care routine, sleeping with mineral makeup on is the next safest thing to sleeping with no makeup at all. Because it is non-comedogenic, it will not clog pores. All the products that we carry contain natural ingredients, but allergic reactions can occur in natural ingredients too, just like food we eat. We recommend that you *patch test your skin the first time you use any of our products. If irritation occurs, discontinue use immediately. * Patch test: A good idea to test your skin to check for a reaction from any new products that you are going to use on your skin. Apply a small amount of the new product to clean skin on the inside of your elbow. Cover with a bandage and leave for 24 hours. If a rash or redness appears, do not use this product. If any of our products get into your eyes, flush with water immediately. If any irritation occurs, consult a physician immediately. Do not take any products internally. Cause: Over-application or the shade is too light. Solution: Custom blend two shades together, use a darker shade or utilize a softer, less dense brush. Cause: The skin is too dry and needs exfoliation and moisturizing. Solution: Use a richer moisturizer. Exfoliate to smooth the skin's surface and apply the mineral foundation with a damp brush and then blend with your finger to erase any visible brush strokes. For extremely dry skin, try mixing a bit of mineral foundation powder with your moisturizer to create a liquid foundation and apply with a sponge or brush and then smooth and blend with your finger. Solution: Firstly try using light downward strokes with your kabuki brush. Or apply Finishing Powder before or after the mineral foundation. Try damp brush application technique too. Solution: Use oil free moisturizer or apply Finishing Powder under and/or over the mineral foundation to absorb excess oil and keep you shine free. Cause: Over-application of the foundation, moisturizer is too heavy, or the moisturizer has not completely penetrated into your skin. Solution: Blend foundation with finishing powder, experiment with different moisturizers. If the powder is mixed in your moisturizer, make sure that the powder is completely blended in. We accept credit card as well as bank transfer for your convenience. We choose to use PayPal as our credit card processor because we never see your credit card information, ensuring the most privacy for our customers. You do not need to have a PayPal account to pay through, just simply enter your payment information and PayPal will process it for you. * Keep in mind that if paying by Paypal please make sure your address is correct and updated with Paypal. Also, there are NO additional charges associated with this service. We also welcome bank transfer (Hong Kong Only), simply add your desired products in shopping cart and choose bank deposit as your payment method during checkout. Please deposit the total amount into our bank account within 3 days from the date of purchase. A copy of the bank deposit slip as proof by email is needed before the parcel will be dispatched. To pay first before delivery is a must, "Cash On Delivery" is not accepted. Urban PUF believes that PayPal offers some of the best encryption and secure payment processing for merchants. Please read below and see why we use PayPal. Safeguarding your financial and personal information is one of PayPals most important priorities. That's why they automatically encrypt all sensitive information sent between your computer and their servers. When registering or logging in to PayPal, they verify that your internet browser is running Secure Sockets Layer 3.0 (SSL) or higher. Your personal information is stored on PayPal servers and heavily guarded, both physically and electronically. To further shield your credit card and bank numbers, PayPal does not directly connect their firewall-protected servers to the internet. UrbanPUF.com is tested and certified daily by the HACKER SAFE Security Scan. To ease concerns about unauthorized access to confidential data, the "live" HACKER SAFE mark appears only when a website meets the HACKER SAFE standard. Research indicates that websites remotely scanned for known vulnerabilities on a daily basis, such as those earning HACKER SAFE certification, can prevent over 99% of hacker crime. Yes, we love mail to exotic locations except P.O. box addresses, physical address is a must. We mail thru the Hong Kong Post Office, your package will comes with a number for your tracking purposes. Signatures will be required on all orders, we suggest to send your parcel to work address if you are unable to sign at home for delivery. * Postage fee are determined by weight and destination with the post office posting calculator. We NEVER charge handling fee or any additional charges associated with Paypal service. HK$28.00 will be charged of the item below 1kg. An additional of HK$14.00 per kg will be charged if your itme over 1kg. Unfortunately, as we have had a few problems with some international orders going missing, we feel that the best way to ensure our customers receive their orders is to only use SIGNED for delivery. It will allow us to provide a better service to our customers outside the Hong Kong. ** We just charge the exactly postage fee, the extra will refund you back by PayPal shortly. Please be aware that additional special handling charges may be applied for oversized packages, remote location delivery or high-value orders. We will contact you if your order qualifies for any of the above, and inform you the amount of additional payment that is required. You will be given the option to make payment or cancel your order. In the event that your package is returned for reasons of being undeliverable or given wrong address, we will not pay to resend (unless it's of our fault). You will be required to pay the appropriate postage fees in order to resend your package as well as give us a proper address within 5 days, or we may refund you the amount of your order, less a 20% restocking fee. Please allow 1 to 3 business days for your order to be processed and mailed upon receiving payment. Local orders can be expected 1 to 2 business days after it has been mailed. The majority of orders mailed to China/Taiwan/Macau can be expected within 7 to 10 business days. Other countries take about 14 to 20 business days. Holiday Ordering: We highly suggest that you place your order at least 7 to 10 days before any major holiday to allow enough time for delivery. We do issue returns or exchanges under certain circumstances because your business is important to us! At Urban PUF, we strive to provide great service. This includes double checking your order and packaging everything carefully. Occasionally accidents do happen. If your order arrives damaged or missing an item, please let us know right away as we want to correct the problem. Kindly contact us with your order number and return the UNOPENED goods within 7 days of purchase with original receipt. We will inspect your goods after receiving then replace the product as well as the mailing cost incurred to you. Unfortunately, clearance items and sample ordering can not be returned, NO EXCEPTIONS! If you find products which are defective and wish to return it, we will send the product back to original source for testing and verification. This process may take up to 6 weeks. If product is proven to be a manufacturer's defect, we are happy to exchange a new one. There is a NO REFUND policy due to hygienic considerations. We encourage trying samples first or contacting us to see which product will work best for you. Please sure to read the Limitation of Liability below before shopping at Urban PUF. Our order process is automated to distribute products quickly and accurately. We apologize but once the order has been checked out it can NOT be cancelled. IN NO EVENT SHALL URBAN PUF, ITS OFFICERS, DIRECTORS, EMPLOYEES, OR AGENTS, BE LIABLE TO YOU FOR ANY DIRECT, INDIRECT, INCIDENTAL, SPECIAL, PUNITIVE, OR CONSEQUENTIAL DAMAGES WHATSOEVER RESULTING FROM ANY (I) ERRORS, MISTAKES, OR INACCURACIES OF CONTENT, (II) PERSONAL INJURY OR PROPERTY DAMAGE, OF ANY NATURE WHATSOEVER, RESULTING FROM YOUR ACCESS TO AND USE OF OUR WEBSITE, (III) ANY UNAUTHORIZED ACCESS TO OR USE OF OUR SECURE SERVERS AND/OR ANY AND ALL PERSONAL INFORMATION AND/OR FINANCIAL INFORMATION STORED THEREIN, (IV) ANY INTERRUPTION OR CESSATION OF TRANSMISSION TO OR FROM OUR WEBSITE, (IV) ANY BUGS, VIRUSES, TROJAN HORSES, OR THE LIKE, WHICH MAY BE TRANSMITTED TO OR THROUGH OUR WEBSITE BY ANY THIRD PARTY, AND/OR (V) ANY ERRORS OR OMISSIONS IN ANY CONTENT OR FOR ANY LOSS OR DAMAGE OF ANY KIND INCURRED AS A RESULT OF YOUR USE OF ANY CONTENT POSTED, EMAILED, TRANSMITTED, OR OTHERWISE MADE AVAILABLE VIA THE PUF COSMETICS'S WEBSITE, WHETHER BASED ON WARRANTY, CONTRACT, TORT, OR ANY OTHER LEGAL THEORY, AND WHETHER OR NOT THE COMPANY IS ADVISED OF THE POSSIBILITY OF SUCH DAMAGES. THE FOREGOING LIMITATION OF LIABILITY SHALL APPLY TO THE FULLEST EXTENT PERMITTED BY LAW IN THE APPLICABLE JURISDICTION. YOU SPECIFICALLY ACKNOWLEDGE THAT URBAN PUF SHALL NOT BE LIABLE FOR USER SUBMISSIONS OR THE DEFAMATORY, OFFENSIVE, OR ILLEGAL CONDUCT OF ANY THIRD PARTY AND THAT THE RISK OF HARM OR DAMAGE FROM THE FOREGOING RESTS ENTIRELY WITH YOU. No problem. We are glad to help you. Use our contact us page to send us a quick email and we will get back to you as soon as possible.